People pass an electric shop in down-town Tokyo, Japan. The Japanese consumer electronics industry is one of the most prominent industries in the world and is the world's largest electronics manufacturer. 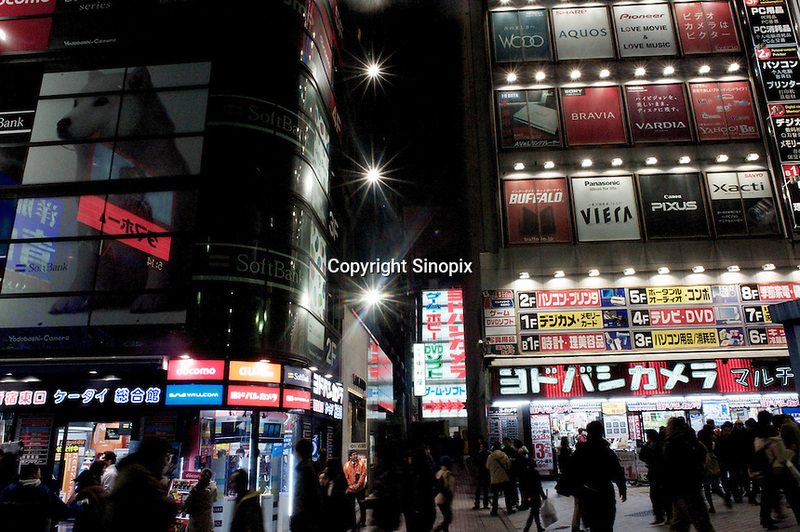 Many shops have electronic, computers and high-tech products for sales in Japan's down-town area..